Jason Moran is the Executive Director of Rio Rapids Soccer Club. Jason runs the business side of the club, as well as coaching teams, and working on club development. Jason was born in Ft Lauderdale, Florida, but spent most of his childhood in Santa Fe, New Mexico. Jason has loved soccer since he was a young child, and feels fortunate to have been able to forge a career in it. He is passionate about working with youth, and watching how soccer helps kids develop life skills that stay with them long beyond their years on the field. He enjoys getting calls and emails from kids he’s coached through the years and hearing about their achievements. Jason received his B.S. in Biology and his M.A. in Sports Administration both from UNM. 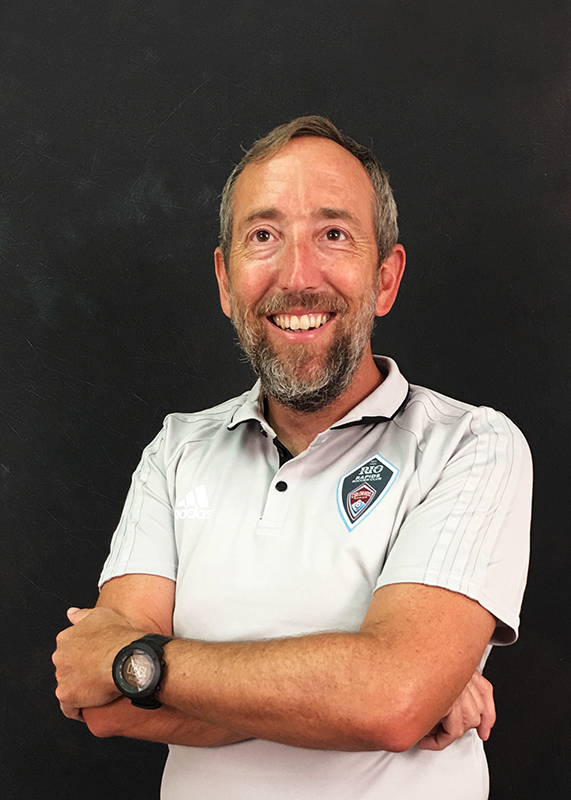 Jason has an extensive coaching background from Club soccer to college soccer, and has worked at the State and Regional levels in US youth soccer organizations (NMYSA, South Texas YSA and ODP in Region III & IV). Some of Jason Soccer Licensure include USSF “A” and the NSCAA Premier coaching license. When Jason’s not on the field, you can find him spending time with his wife and daughters, fly fishing, or mountain biking. He also enjoys following the Miami Dolphins, Arsenal football club, and the US National teams. Cathy Thomas is the Registrar for Rio Rapids Soccer Club. Cathy works for a local industrial tools and compressor supplier as an accounting clerk. Cathy is a native New Mexican. Cathy has loved soccer since she was a young child playing the sport. 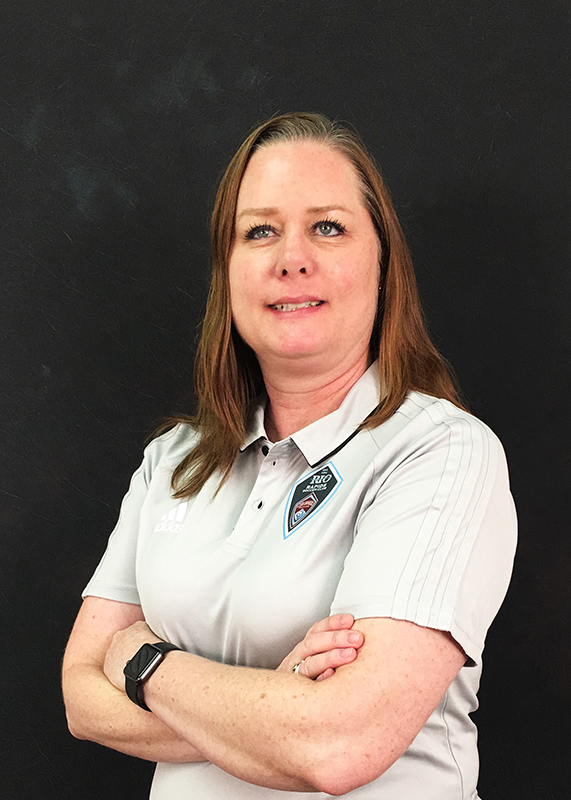 Cathy has been involved with teams throughout the past several years for her three children’s club team as team manager or as the President of the Booster Clubs for both the boys and girls high school teams. Cathy received her associates degree in secretarial studies and is currently working towards a liberal arts degree. Cathy enjoys watch games, either her own kids or professional games. If she’s not watching games, she enjoys spending time with her family or reading. Cathy enjoys following the US National teams. Ken Levandoski is the Marketing and Branding Director for Rio Rapids Soccer Club. Ken oversees the digital marketing and communication tasks for the club, as well as helping with coaching teams, and working on club strategic development. Ken was born in Binghamton, New York, has traveled and lived in many places around the country and world. Ken has enjoyed soccer since he was a young child growing up in England for a few years. 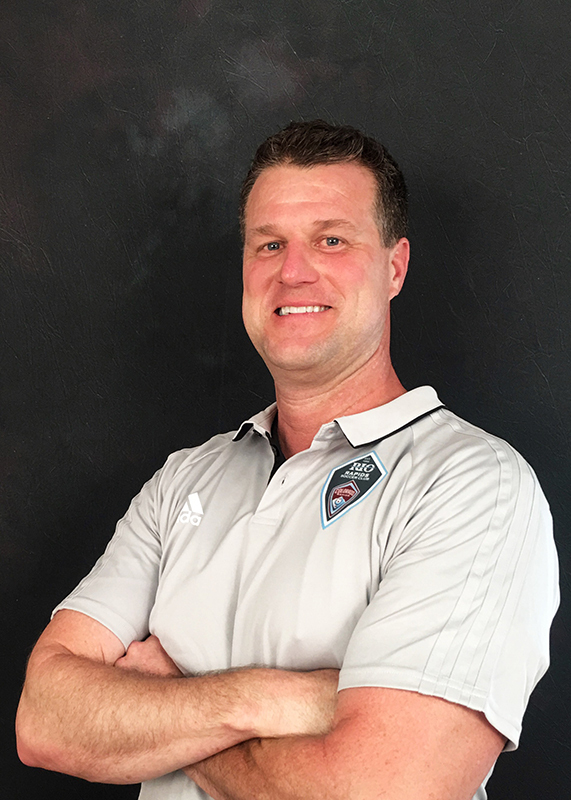 Ken holds his Soccer D-License, coached AYSO, and within the Rio Soccer Club with U10-U15 Boys teams. Ken is proud to have been able to influence the Rio SC Club to become the premiere soccer club in New Mexico. 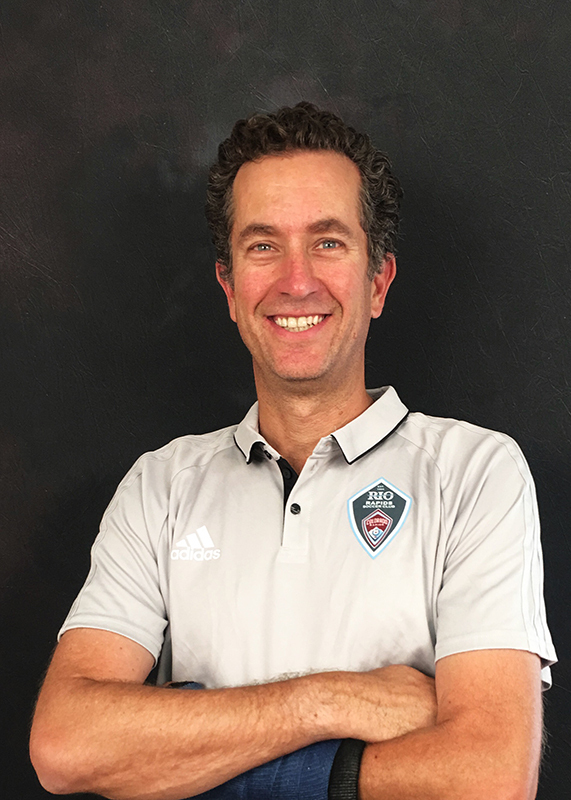 He is passionate about working with youth, and watching how soccer helps kids develop life skills that stay with them long beyond their years on the field. Ken received his B.A. in Management from the University of Notre Dame where he played and was Captain of the Men’s Volleyball team. Ken consults with many companies and co-runs a branding, digital marketing, and web presence company with his wife Margie, LionSky Media www.lionsky.com. You can find Ken outdoors spending time with his wife and family, watching his son and daughter who play for Rio Rapids SC. Ken enjoys world travel, following Notre Dame sports, International Soccer, Chelsea football club, and the US National teams. Bryan Davis is a General Counsel for Rio Rapids Soccer Club. He advises the club concerning soccer operations, vendor contracting, and liability matters. Bryan grew up in Atlanta playing club soccer until injury and his interest in being a rock star with his band sidelined him. Bryan has lived in New Mexico for twenty years. He graduated from University of New Mexico with a B.A. in History and a J.D. from University of New Mexico School of Law. Bryan has practiced law in New Mexico since 2004 primarily in healthcare fraud and abuse cases. Bryan and his wife Vicki have four children. 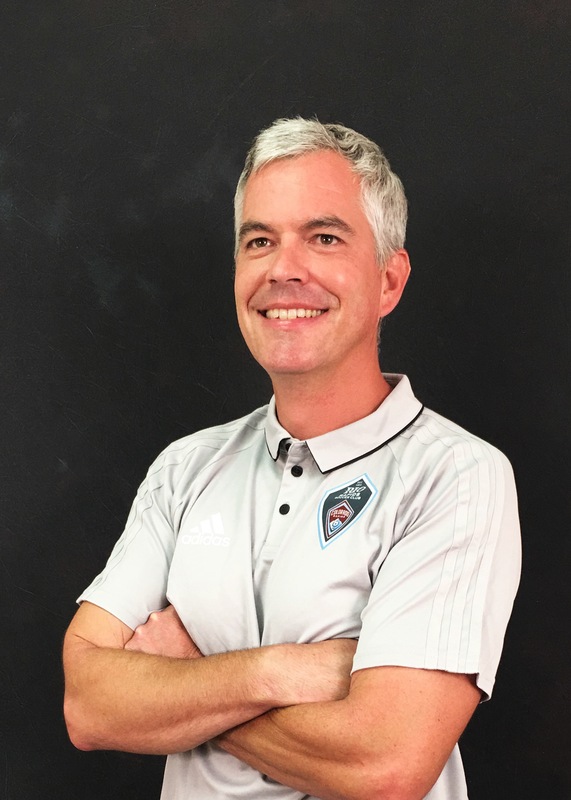 They have two sons playing for Rio Rapids Soccer Club, and Bryan has been an assistant coach and general operations manager for their teams over the years. Bryan has fallen back in love with the beautiful game through affiliation with Rio Rapids Soccer Club and the life lessons which the game teaches youth. Bryan even jumps in the occasional pick up match when time permits and enjoys traveling to see pro soccer matches. He is an avid supporter of UNM Lobos Soccer, Colorado Rapids, Manchester United, and Barcelona FC. Dooley Gilchrist is a General Counsel for Rio Rapids Soccer Club, and a partner in the law firm of Davis & Gilchrist, P.C. Dooley advises the club concerning general operations, employment, and liability issues, among others. He attends board meetings and provides input on issues presented for discussion and decision. Dooley also serves as a member of the club’s HR/Financial committee. Dooley grew up in Mississippi, and moved to New Mexico after high school. He has lived in New Mexico for nearly 26 years, with the exception of time in law school in Boston and time spent abroad managing several grant projects. Dooley has practiced law in New Mexico since 2003, and he represents employers in employment matters, individuals injured by the negligence of a lawyer, as well as clients in other civil litigation matters. Dooley has three children who play for Rio Rapids, and he serves as a youth soccer referee in Duke City League and tournament play throughout the season. Dooley was a competitive cyclist growing up, and he raced for the University of New Mexico cycling team in college and the Boston University cycling team in law school. Dooley now competes in trail running events up to 50 kilometers in length. Dooley’s love for and knowledge of soccer has grown over the past 10 years, as his children have grown in the sport, and as he has learned his trade as a referee. Dooley enjoys the competitive and cerebral aspects of soccer, as well as the athleticism required to play the game well. He follows the English Premier League and Major League Soccer and international competitions. Larry Brooks is a co-founder and an original incorporator of the Rio Vista Football Club, the predecessor to Rio Rapids Soccer Club. 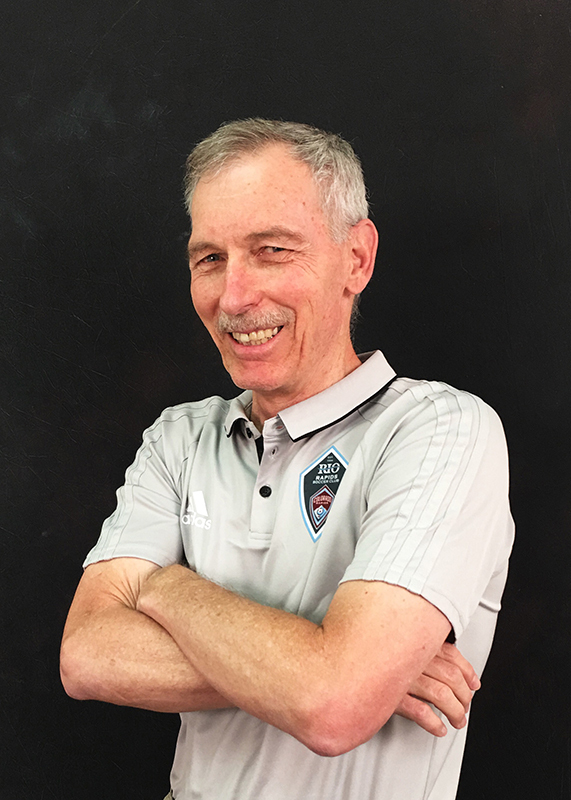 Over the past 17 years Larry has served the club in a number of capacities, including board member and volunteer coach for girls’ and boys’ teams. He is most proud of how Rio established a club culture, while retaining its inclusiveness. Growing up in Taos, Larry’s introduction to soccer came from the many transplanted Europeans who had moved to Taos for the skiing. He recalls fond memories while still in high school of traveling around the state in the summertime with his ski-racing coaches to play soccer games against adult teams. His growing passion for the game blossomed when he went off to college on an athletic scholarship to the University of Wyoming to ski race. Soccer was a regular part of the ski team’s dry-land training regime. For him, soccer transformed the team’s demanding workouts into fun. Larry transferred to the University of New Mexico after skiing was added as a varsity sport. He went on to become a College All-American while competing for UNM. After completing his college racing eligibility, he created and raced on what was the second-oldest regional professional ski tour in the United States. Larry realized ski racing would not pay the bills, so he pursued a professional career as a real estate analyst, consultant and appraiser. He has enjoyed a very successful practice the past 40+ years with over 25 of those years working with his attorney-wife, Heidi. His professional life has afforded him the free time to pursue his passion for youth soccer. As he will quickly tell you, if he could be reincarnated he would want to come back as a soccer player instead of as a ski racer. Both of his now adult daughters grew up playing the game. He can hardly wait until his twin grandsons and granddaughter come of age and start playing soccer. Unfortunately, they live in Sweden, so it will be a little more challenging to take in their games. Travel both for necessity and pleasure consumes part of Larry’s spare time. You might also run into him and Heidi on a hiking trail in the mountains.